Live music icon the Brunswick Hotel has closed indefinitely, after a freak accident saw a fire hydrant flood the building from above. 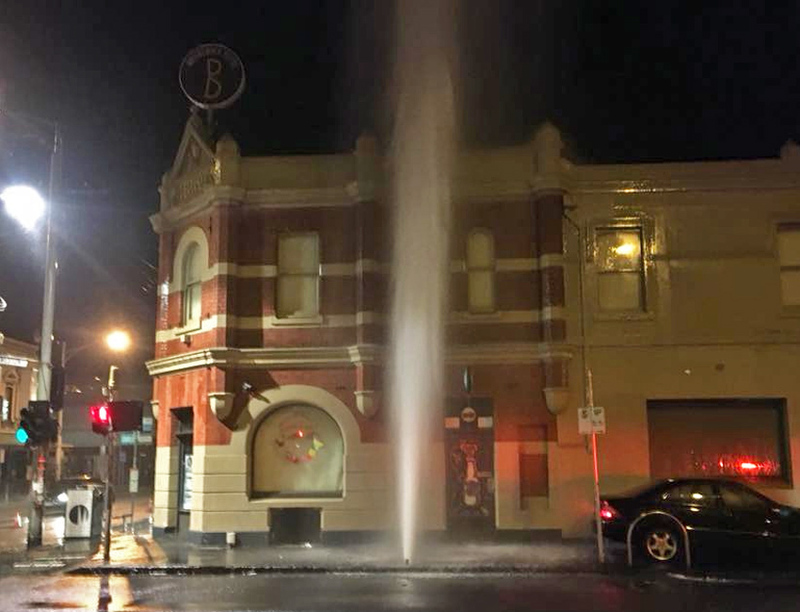 In the early hours of Thursday morning (22 March), a car struck a fire hydrant outside the popular pub, on the corner of Sydney Road and Weston Street, in Brunswick. 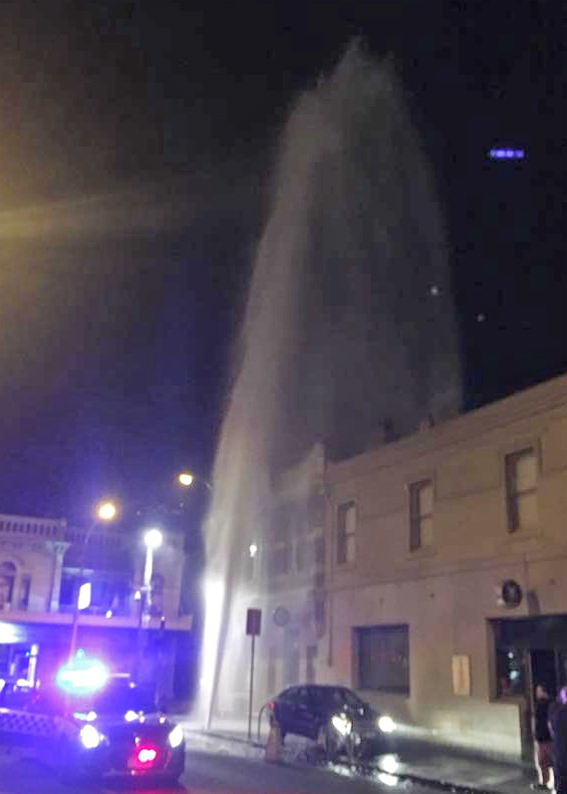 The broken hydrant let loose a column of water that towered over and rained down on the Hotel, causing damage and overflowing guttering. Staff became aware of water dripping inside and security were forced to evacuate the building. Patrons were seen clowning with the geyser, including one fool who nearly knocked himself out sticking his head in the torrent of water. Proprietor David ‘Frankie’ Cudmore got out of bed to a call there was a problem. Reportedly the stage and PA equipment were flooded, and the ceiling collapsed in places. The pub has been a hub for live music, particularly punk bands and emerging acts, with artists such as Strawberry Fist Cake, Three Quarter Beast and I Am Duckeye writing songs about it. Management also put out a call to other Melbourne operators for any additional shifts for their suddenly out-of-work bartenders, bussies, sound engineers and security guards.